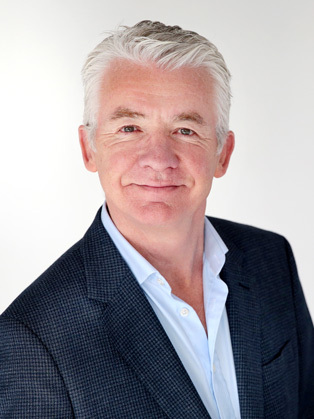 With over 30 years of experience from the board room to the front line, Alan O’Neill mba, The Change Agent - has supported iconic brands to achieve amazing results. In a dynamic world, he knows what it takes to drive change in a business – from top to bottom... and back to front. It’s about having a Customer-centric Culture, Engaged People, and a Supercharged Sales effort. Up to 2004, Selfridges for example was a sleeping giant - but in recent years has achieved two significant accolades... it’s officially the best department store in the world... and one of the most profitable (per m2). Alan was their lead consultant for many years. Alan is a columnist for Ireland's biggest Sunday Business paper, the Sunday Independent. Each week Alan writes a case study based on a real business. This includes a description of the business, identifying key challanges that they may be facing and giving suggestions for improvement. A consultant, trainer, non-exec director, an author, and a visiting professor with Ashridge, he is also a trusted mentor to many CEOs and board directors who seek his advice on various issues. 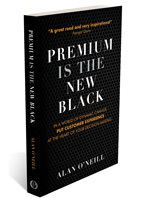 Alan has a reputation for making the complex simple... being down-to-earth and practical... with a commercial focus that brings everything back to the customer. It is this unrivalled business acumen that has seen Alan chair and speak at conferences around the world and conduct master-classes with C-level executives. He asks hard and uncomfortable questions, e.g. How do you change an old culture to prepare for emerging global challenges? How do you overcome cynicism and resistance to change? How do you overcome complacency and lack of accountability? How do you differentiate with customer-experience culture? How do you retain the best talent? How do you increase sales in a challenging and disruptive global market? With every engagement, Alan takes time to understand the brief, the objectives, the challenges... and builds empathy before meeting his audience. Energetic, passionate and engaging... he will leave your audience with thoughts and challenges - that are guaranteed to provoke, inspire and give hope. In this incredibly fast paced world it’s often hard to keep up with change and yet Alan keeps things simple, easy to understand and inevitably ‘hits the nail on the head.’ His knowledge of what’s right for business comes from years of experience working with the worlds best companies; asking the right things of the right people... in other words those closest to your customer.